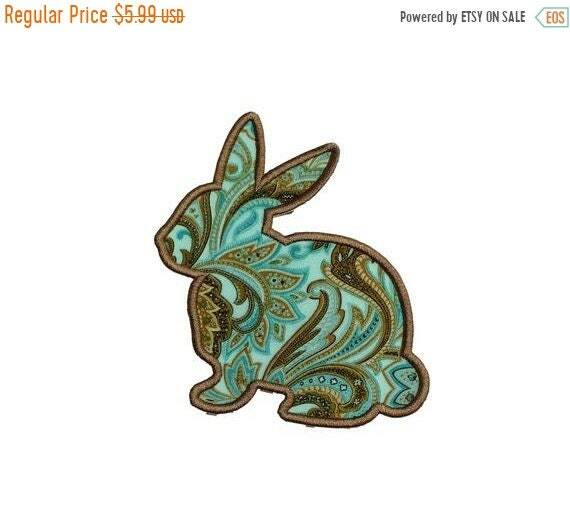 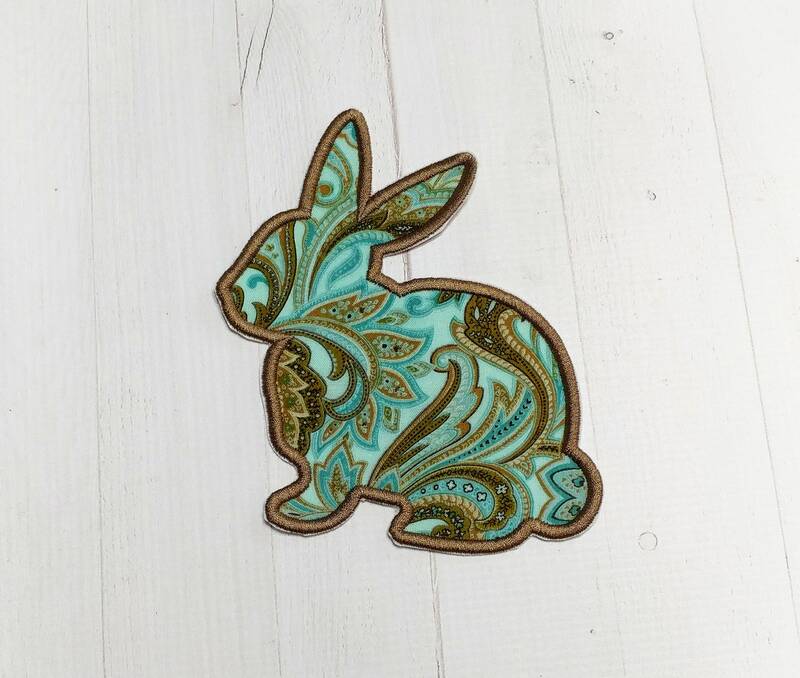 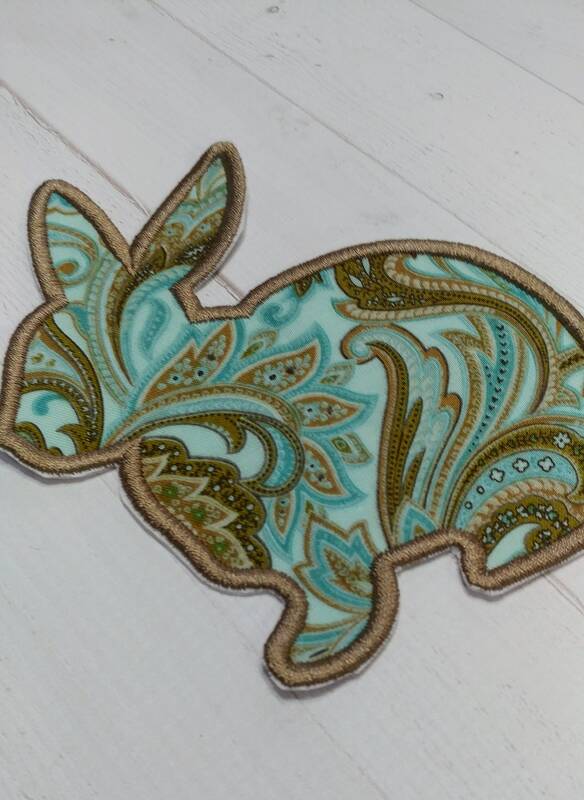 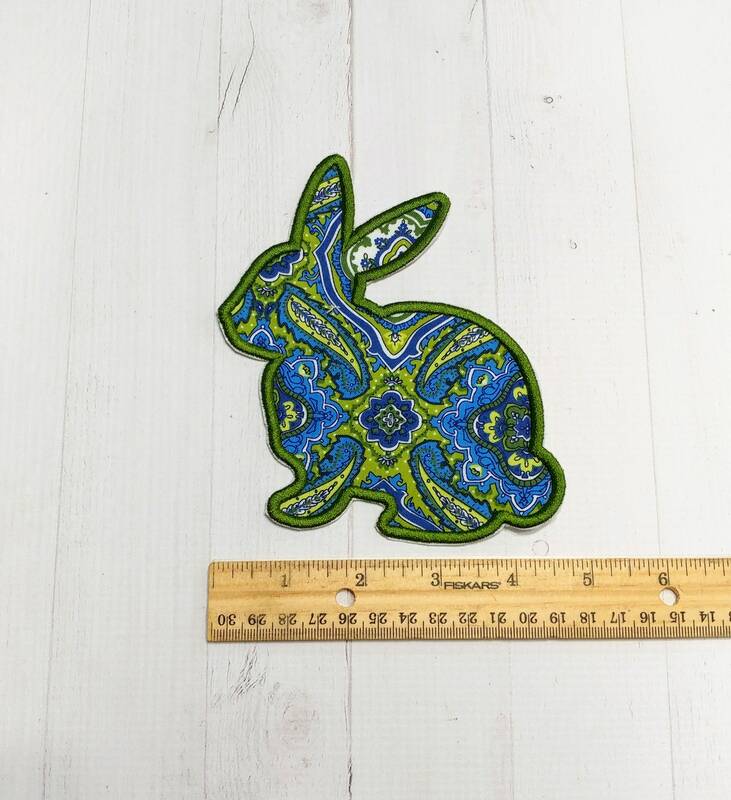 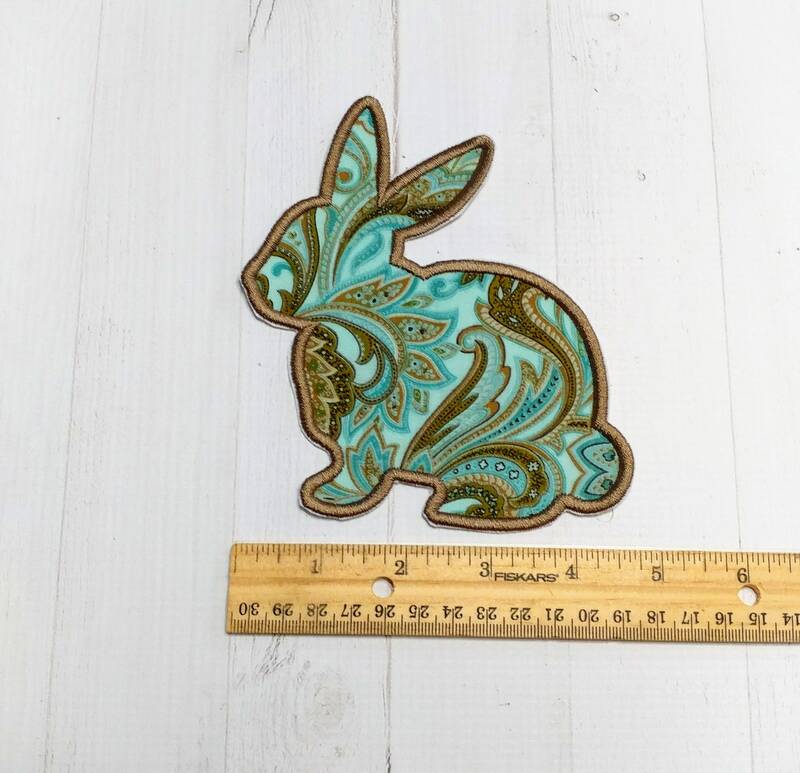 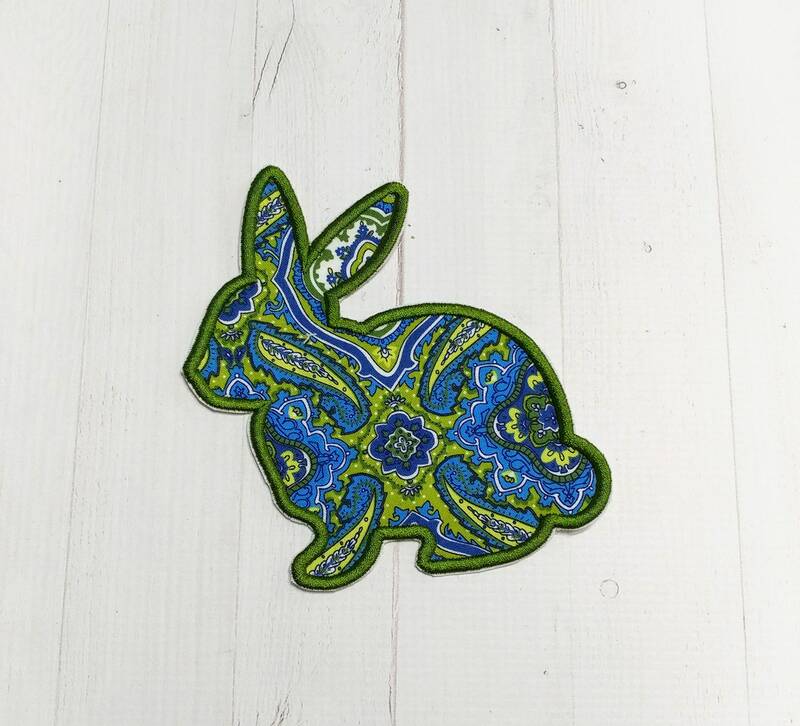 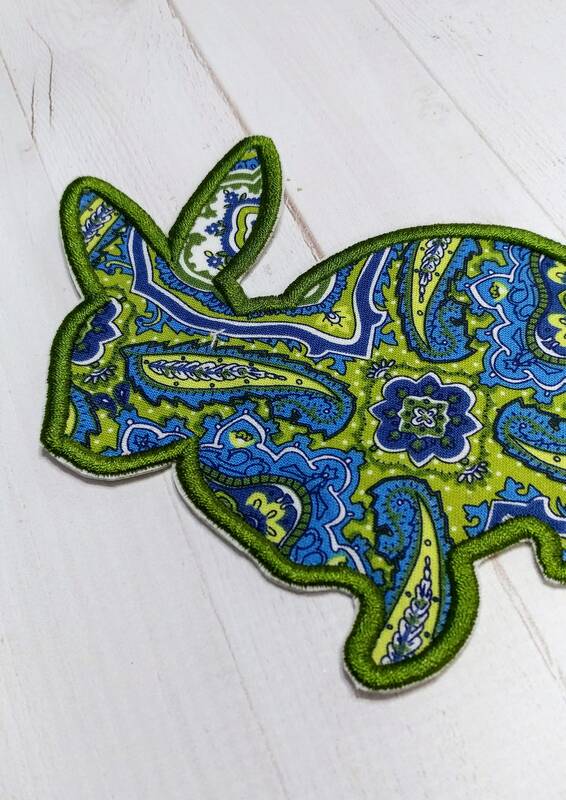 Rabbit silhouette done in an aqua blue, brown and golden brown paisley fabric. 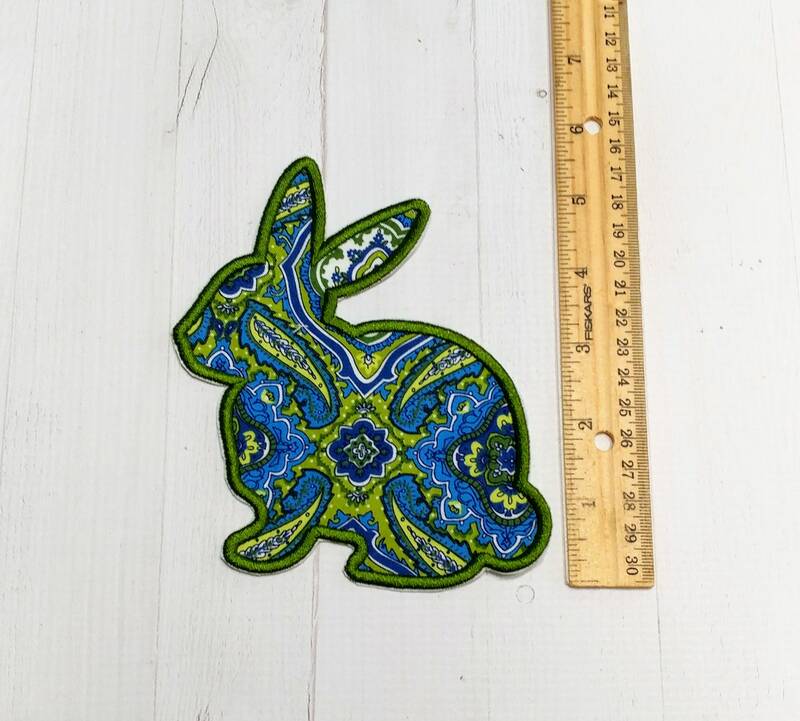 * This patch fits a 4x4 area. 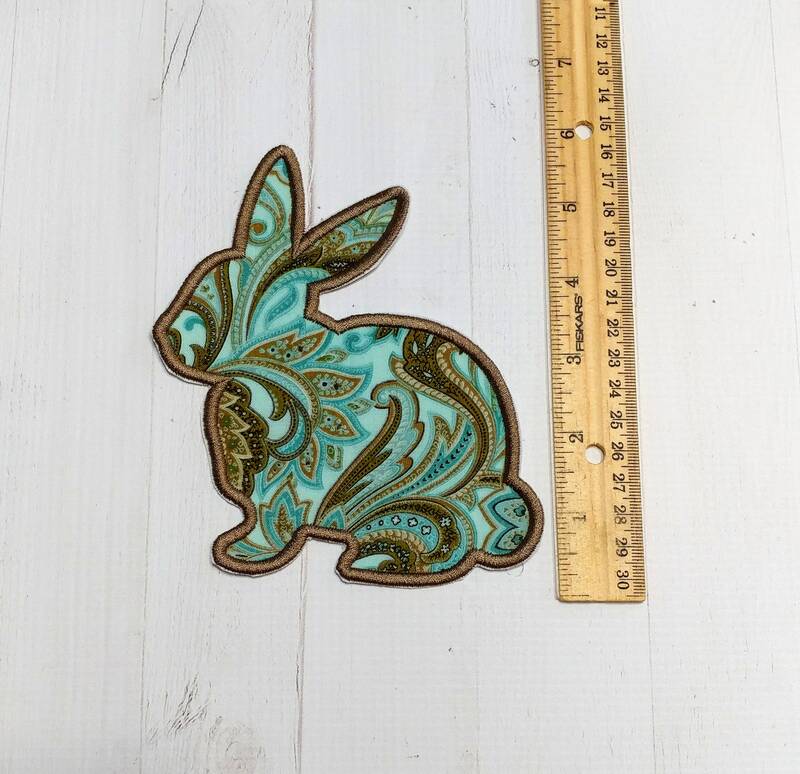 Please see additional photos for more precise measurements.